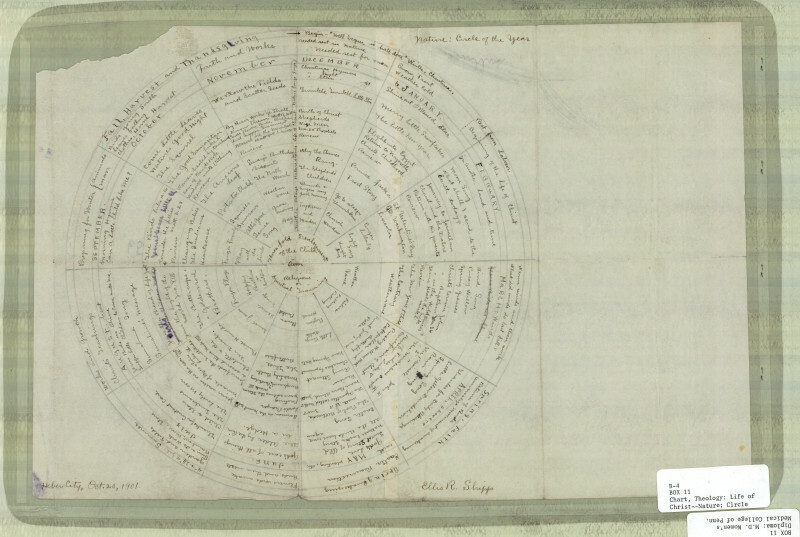 Description Theological chart chronicling the life of Jesus Christ and religious instruction for children. Conversion Specifications Original scanned with Colortrac SmartLF GXT42 and saved as 400 ppi 24bit RGB uncompressed TIF. Display image created in Adobe Acrobat DC as a pdf.